Why are these no longer available? Most likely out of stock, but I havent seen arro chime in yet, so dont quote me on that. I may be speaking out of turn (I say this because I leave most of these ideas up to Arro, as I do more of the Tech/Web/Server/Payment side of things, and leave the physical project work to him). But unfortunately the answer is a solid No. 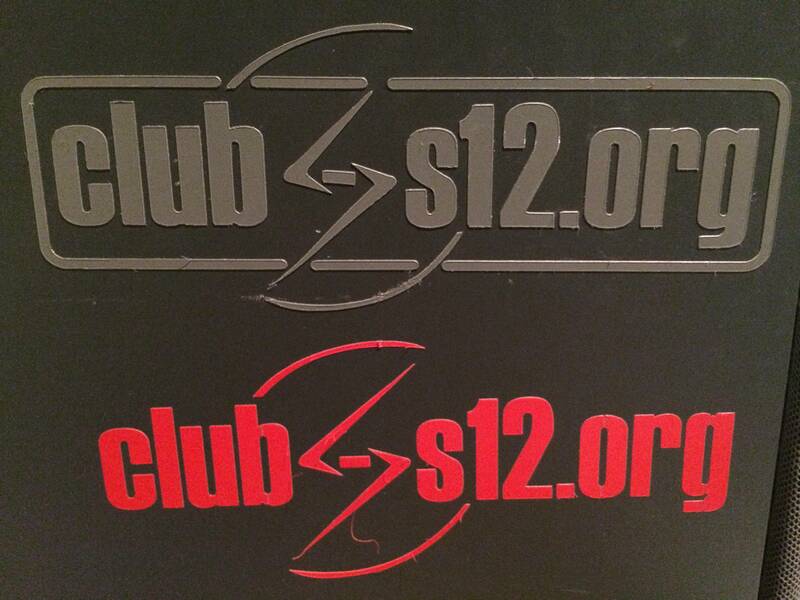 The items we at Club-S12 produce are entirely to support Club-S12 and its community as the owners of the domain. We don't profit from them. In fact half the time, we sell them at a loss because of the lack of demand, but it's still a responsibility of the administration to look into ideas. I would absolutely be willing to look into having such a thing produced, and will discuss it with Arro. So just know, your idea is noted, and we will discuss it. Right now, we're working on a 10th year anniversary project, which I can't go into more details about. Just know it involves a physical product. Anyone have a picture of the decal? the original pictures are not working and i would like to make one for my s12 if that is acceptable. I can also cut some for others if needed. If anybody can take a picture of one I can reproduce it. Picture should be strait on (not at an angle) and if you can include a ruler or something with a known size I can duplicate the original size also. All of this with Arro's blessing of course. Here is a pic of the only one I have left. This may have been a test one or not...I can't remember from when Tim (Indy) was getting them made up. Hope this helps. Pick is at an angle and no ruler. Any chance you can lay a ruler or measuring tape down next to it and re-take the pic? That is enough to reproduce the graphic but i don't know if that is a 1" wide sticker or 4' wide for a back window. I'll reach out to Xano to make sure he's ok with it being reproduced. I will in a few days. Always busy now with my kids and work.